Benjy Stone: Alan Swann, afraid? The Defender of the Crown? Captain from Tortuga? The Last Knight of the Round Table? Alan Swann: Those are movies, damn you! Look at me! I'm flesh and blood, life-size, no larger! I'm not that silly God-damned hero! I never was! Benjy Stone: To me you were! Whoever you were in those movies, those silly goddamn heroes meant a lot to me! What does it matter if it was an illusion? It worked! So don't tell me this is you life-size. I can't use you life-size. I need Alan Swanns as big as I can get them! And let me tell you something: you couldn't have convinced me the way you did unless somewhere in you had that courage! Nobody's that good an actor! You are that silly goddamn hero! The above exchange is from 1982's "My Favorite Year", which garnered Peter O' Toole a 1983 Academy Award nomination for Best Actor. In it, Benjy Stone(Mark-Linn Baker), a nebbish comedy writer (inspired by Woody Allen and Mel Brooks) confronts his idol, the dashing, swashbuckling Errol Flynn-type movie star Alan Swann, over the fact that the man he has spent his life admiring is, in fact, a fearful drunk. Swann is afraid to do a live Sid Caeser-inspired type of comedy program, and is retreating to his liquid companion. Swann is also afraid of life in general, of rejection by the daughter he abandoned, and of his stardom, which had dwarfed his very existence. 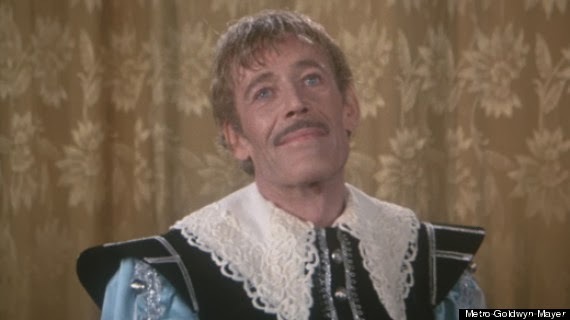 Like many of his performances, as Swann, O'Toole was able to capture heartbreak, a joie de vivre, and sense of style, while channeling a carnival of emotions (often at the same time) across his beaming, radiant face. Is it ridiculous, how we trumpet our grief when screen legends, people we only know through what we seen onscreen, pass on? Perhaps. But O'Toole made it feel personal, he felt like a friend. He was our T.E. Lawrence. He was our mad director in "The Stunt Man". And now that he has gone, he has left a giant hole in our hearts. One that's larger than life. Goodnight, you prince of the desert, you lion in winter, rest in peace.